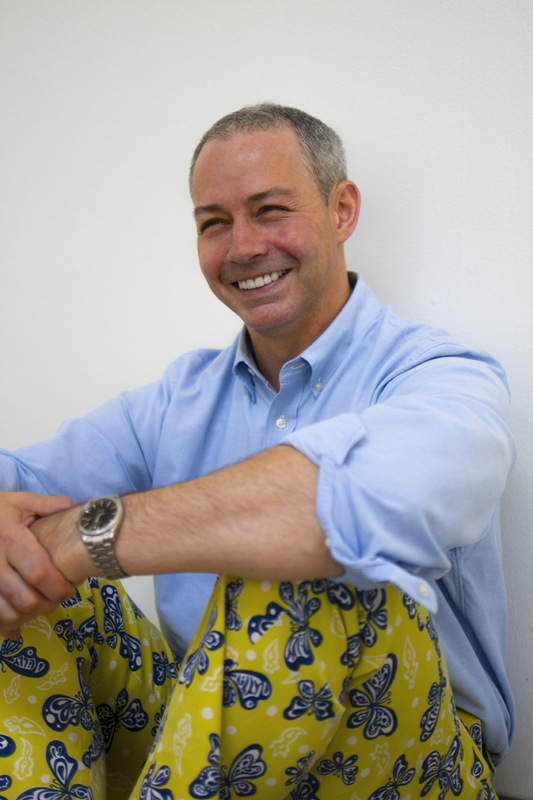 Today we continue our features of debut authors with picture book author J.J. Austrian. His book WORM LOVES WORM, illustrated by Mike Curato (Balzer + Bray), was released on January 5. Be sure to enter into his giveaway for a signed copy! I have been writing stories forever. In high school I had a wonderful drama teacher who encouraged me to enter a playwriting contest; my play won an award and I was named a Connecticut Young Playwright that year. After college I moved to Los Angeles, where I worked as coordinator for a television network, first in programing and then in sports. After Los Angeles, I moved to New York, met my wife, and began working in the field of digital production. All of this time, I was writing plays and scripts that no one wanted to buy. After we moved to Minnesota to be closer to my wife’s family, I began to realize that, unlike my friends who were successful screenwriters, I wasn’t watching movies and TV all the time. Instead, I was using my free time to read HARRY POTTER, THE HUNGER GAMES, or PERCY JACKSON. It dawned on me that my real love was kids’ literature. From a friend, I learned about Hamline University’s MFA in Creative Writing for Children and Young Adults. I entered the program and graduated two years later, in January 2014. Earning my graduate degree from Hamline was one of the best decisions I’ve ever made. 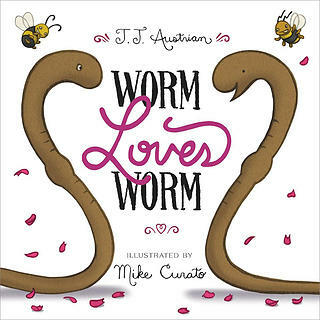 Congrats on your debut, WORM LOVES WORM, which celebrates love in all its forms. What inspired you to write this story? The idea for this story came about seven years ago, when my son was young. We had been invited to dinner at the home of our good friends—and former neighbors—Pam and Leanora, two women who had been together for over 20 years. Afterward, my son and I started talking about marriage and my son had assumed that Pam and Leanora were married, since, like mommy and daddy, they lived together and loved each other. I tried to explain to my son that, at that time in New York State, women couldn’t marry women and men couldn’t marry men. When my son asked, “Why not?” I told him that some people believed it was only “natural” for men and women to marry each other. My son thought about what I had said for a moment and replied, “That’s dumb. Pam and Leanora love each other.” I agreed and wondered why other adults couldn’t see the truth that was so obvious to my son. How could such love be anything but natural? Nature doesn’t care about gender: Look at earthworms! Four years later, while at Hamline, I was asked by my advisor, children’s author Claire Rudolph Murphy, to write a picture book. 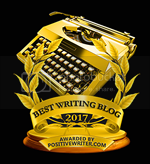 Thinking back to the conversation my son and I had had years earlier, I decided to write WORM LOVES WORM, for which I received a 2013 Shabo Award Winner for Children’s Picture Book Writers from the Loft Literary Center in Minneapolis. This honor entitled me to work with the amazing author and illustrator Nancy Carlson, who helped me polish and perfect WORM LOVES WORM. Also, I am delighted to report that Pam and Leanora were married in November 2014. 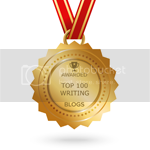 Was your road to publication long and arduous, short and fortuitous, or something else? Short and fortuitous, but only after about twenty-five years of having scripts and plays rejected. I credit one of my Hamline advisors, author Claire Rudolf Murphy, with challenging me to write the picture book that became WORM LOVES WORM. Another one of my amazing advisors, author Anne Ursu, heard me read WORM LOVES WORM at the Highlight’s Whole Novel Workshop, and later pitched my picture book to an editor. The next thing I knew, my phone rang and Alessandra Balzer, of Balzer + Bray, offered to buy my book. 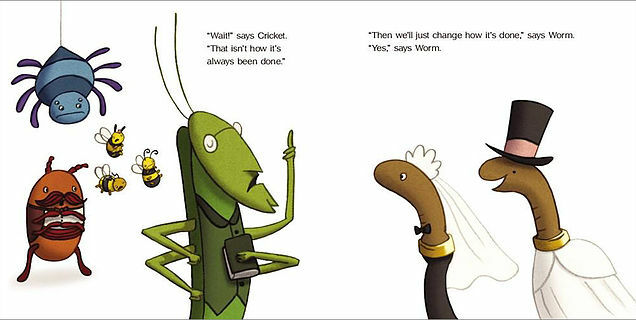 Honestly, I cannot remember how many times I heard “Thanks, but no thanks,” before WORM LOVES WORM was acquired. What has surprised you most about the publishing business since you first got your contract? How kind and supportive everyone has been. All the people I have met, as far as I can tell, are in the kid lit business because they love it and want nothing but the best for children. I’m finishing my Young Adult fantasy, THE SILVER COFFIN. It’s about a young, impulsive shepherd who sells his soul in a desperate attempt to save his sister from being sacrificed to the God of Death, and about how his headstrong sister does everything in her power to win his soul back. I’m having a blast writing it! What is the best advice you've gotten as a picture book author, or what advice would you give others? Have fun and don’t give up. Honestly, I think one of the reasons WORM LOVES WORM sold was because I had so much fun writing it and it shows. The other reason it sold was timing. If it had come out a few years earlier, it most likely would not have sold. You can’t control timing, or luck, but you can control your attitude. Make sure you really love writing for kids and keep having fun while you’re doing it. J.J. grew up in Connecticut, graduated from Bard College and worked in Los Angeles before returning to the East Coast, where he met his wife at a Halloween party. She married him a few years later, in spite of his costume choice. After moving to Minnesota so that they could be closer to family, J.J. earned his MFA in Creative Writing for Children and Young Adults at Hamline University. WORM LOVES WORM is his first book. Thank you for sharing your journey.I look forward to reading Worm Loves Worm. Looks fabulous! A perfect book! I liked hearing the story behind the story. Thanks for sharing. I completely agree with you and your son. Love is natural. Thank you for sharing your journey, J.J. I look forward to the YA in progress-sounds interesting. Than you, JJ. Can't wait to read this book! Really enjoyed learning about how this book developed. Thanks for writing it! Great story behind the story. Wishing you much success with this title! Loved this interview. Thanks for giving lots of tips. Congratulations J.J. I keeping mulling over whether to apply for the Hamline program. It's nice to hear you had such a wonderful experience. Congratulations and much success with Worm Loves Worm. The illustrations could not be more adorable, by the way. Can't wait to read WORM LOVES WORM! What an awesome idea for a PB. Glad the timing worked out perfectly.